"We must find a way that does not require us to exercise control over other people," he said. All Israeli settlements are considered illegal under international law but Israel draws a distinction between those it sanctions and those it does not. The international community constantly criticizes Israel for its continous settlement activity in the West Bank. Palestinian president Mahmud Abbas's spokesman welcomed Gantz's comments. "It is encouraging if he succeeds and he sticks to this opinion," Nabil Abu Rudeinah told journalists in Ramallah. But he said they needed more details about Gantz's policies. "We don't know him yet, we heard about him. As President Abbas keeps saying all that we need is an Israeli government who believes in peace." 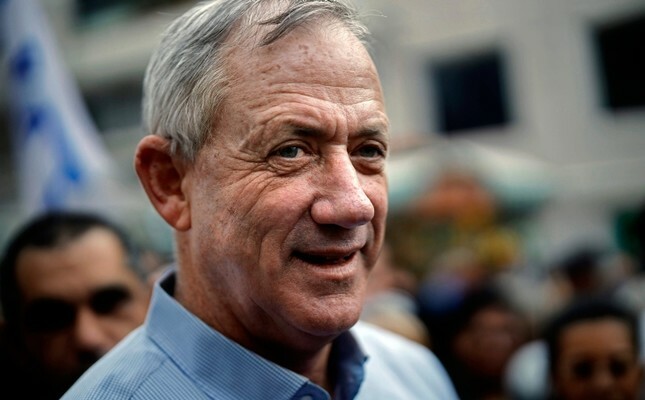 "We told you Benny Gantz would form a leftist government with the help of" MPs of the Arab-led Joint List who hold 13 seats in parliament, a Likud spokesman said.